The new Mercedes-Benz GLE can dance, probably better than you can. You, rather proud of your moves that only the walls of your home and A-pillars of your car ever witness, are probably huffing with annoyance and wondering why this matters in the first place, waiting for a chance to change the subject. But, sadly, it does matter if you’re into off-roading or prone to getting stuck in nearby sand dunes, so we’re not changing the topic. Better luck next time. 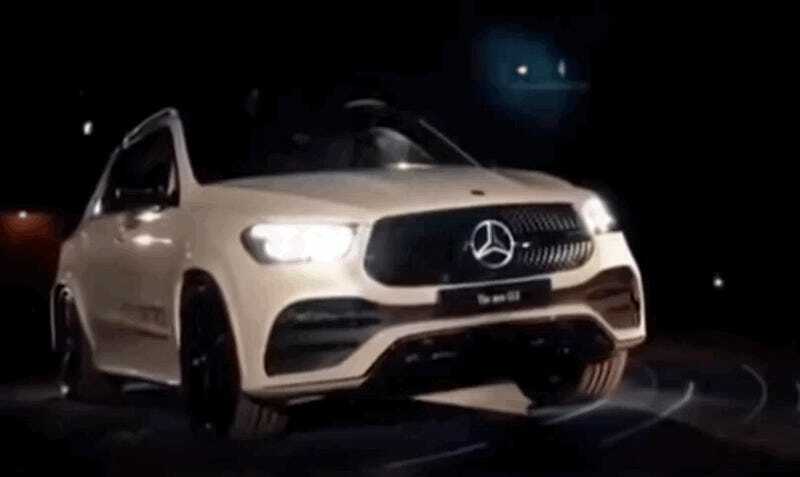 These funky dance moves, which are all over YouTube and the internet in a way you hope yours never are (the first sign of weakness in the dance battle that is life), are actually a demonstration of how the new GLE’s suspension system works. It’s formally called E-Active Body Control, and it’s an air-suspension system that can simply make a ride more comfortable or help the GLE free itself from whatever weird stuff you people drive your cars into. The suspension system is only on new GLEs with six or more cylinders, and Mercedes claimed when the new GLE came out in September that it’s “the only system on the market where the spring and damping forces can be individually controlled at each wheel.” That, in regular English, means the car will wiggle up and down on uneven roads to make the ride more comfortable and help wiggle itself out of situations where it’s stuck, like the sand-dunes one Mercedes mentioned in the press release. The system also has a feature that significantly lowers centrifugal forces during turns, Mercedes claims. Free-driving mode is a completely new off-road function: if the GLE becomes bogged down in a sand dune or in many such situations, for example, it can help to free the vehicle more easily. If possible the suspension level is automatically raised and lowered several times, which changes the ground pressure of the tyres and therefore improves traction – the GLE rocks itself free. Individual wheel actuation is another new function for off-road driving. Or you could just make the thing dance, like an over-the-top holiday display meant to make your neighbors jealous and your electric bill go through the roof—unless that only happens in movies. Who really knows.